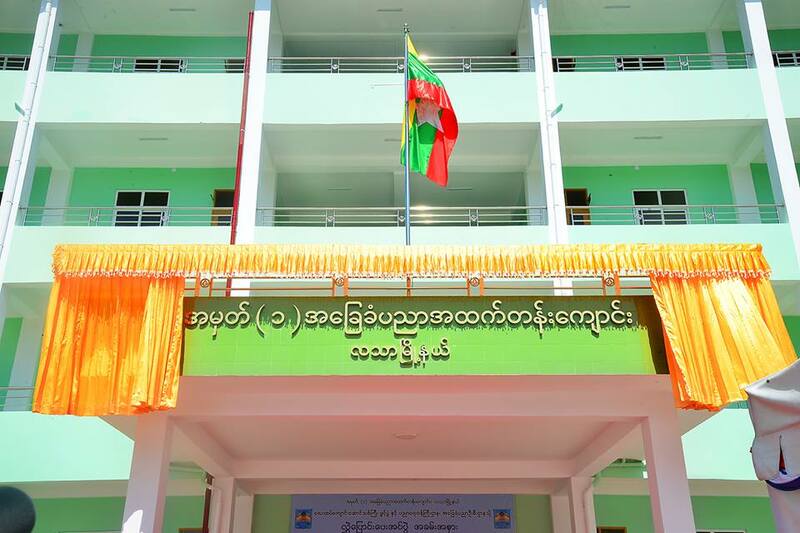 A ceremony to hand over a four-storey school building donated by alumni of Basic Education High School No.1 of Latha and well-wishers was held at the school in Latha Township in Yangon this afternoon, with the attendance of Commander-in-Chief of Defence Services Senior General Min Aung Hlaing, the Yangon Command Commander, offi cials from the Ministry of Education, the headmaster, teachers, alumni and donors. 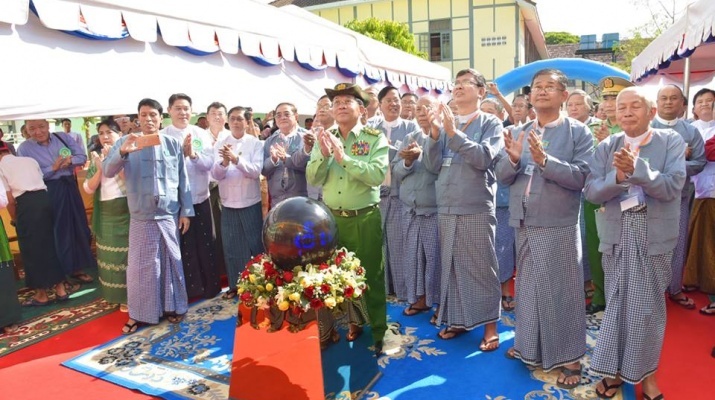 The Senior General formally pressed the button to open the new school building and sprinkled scented water on the stone inscription. 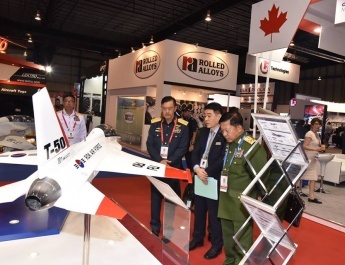 Speaking about the donation of the new school building, the Senior General said the education standard of students played a crucial role in development of the country. Teachers needed to teach students literature as well as to nurture them to acquire extracurricular knowledge. Priority should not be given to the higher exam pass rate alone. Teachers needed to teach them to become qualifi ed ones. According to the educational surveys, about 50 percent of primary students could join middle-level schools on the average. In addition, about 30 percent of middle-level students went to high schools and then more than 10 percent to universities. Offi cials, teachers and parents were to make collaborative efforts to promote the education standard of students. Necessary assistance was being provided as much as it could. For the health and fitness of students, sports competitions should be held. Likewise, it needed to nurture them to become the ones who were clever and respected the religion. Thanks to the donation of the new school building, students could study their lessons in good mental and physical condition. 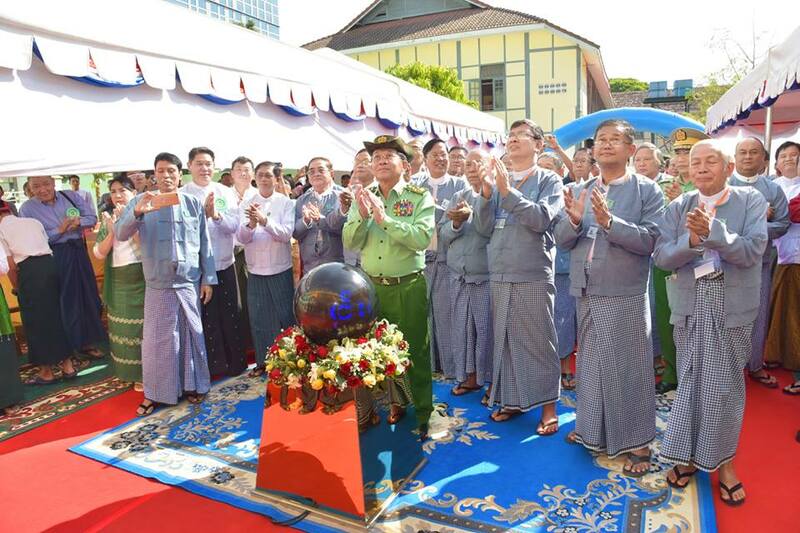 Director veteran teacher Daw Myint Myint Than of the Yangon Region Education Director Offi ce (Admin/Finance) of Basic Education Department under the Ministry of Education made a speech while Patron of the new school building construction committee U Chit Nyunt explained construction tasks. 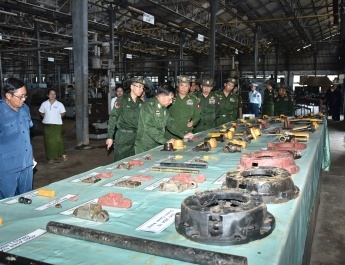 Chairman of Alumni Committee U Tun Aung Hlaing presented documents related to the four-storey school building to Director (Admin/Finance) veteran teacher Daw Myint Myint Than. Cartoonist U Sein Gyi from Post-War Era Alumni Committee presented a picture to the Senior General. 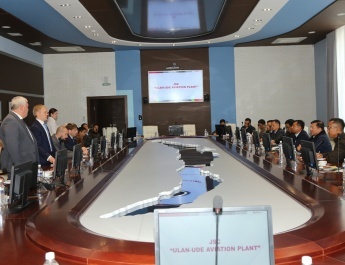 Next, the Senior General and attendees visited the new school building. This morning, the alumni of Basic Education High School No. 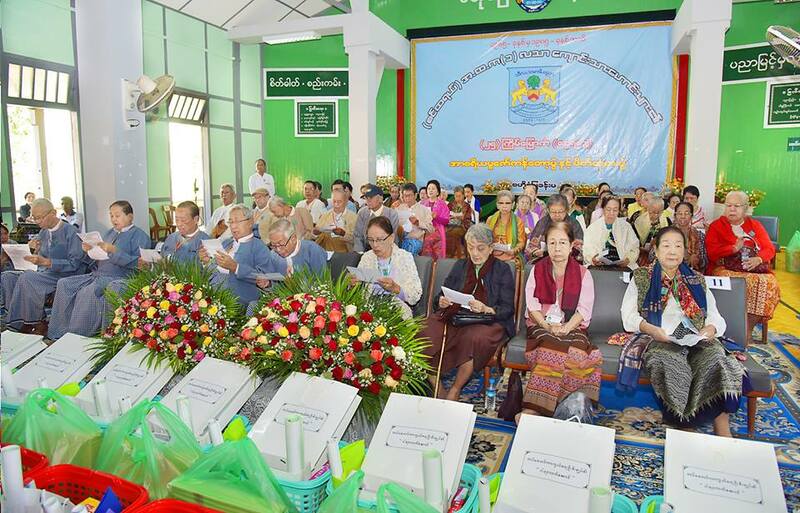 1 (Central) from 1965 to 1985 held the 25th (Silver Jubilee) ceremony to pay respect to veteran teachers at Central Sanpya Hall of the school in Latha Township, Yangon. 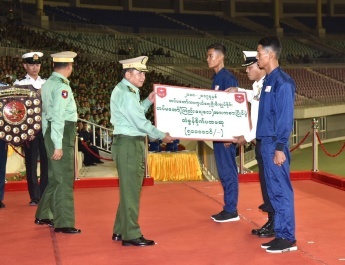 The ceremony was attended by 65 veteran teachers, and Commander-in-Chief of Defence Services Senior General Min Aung Hlaing who learned the middle to high school education at the school together with old students from 1965 to 1985. First, they all sang the song with the title of Great High School in chorus for opening the ceremony. The master of ceremonies explained preparations for holding the 25th ceremony. The attendee alumni paid respect to the veteran teachers. 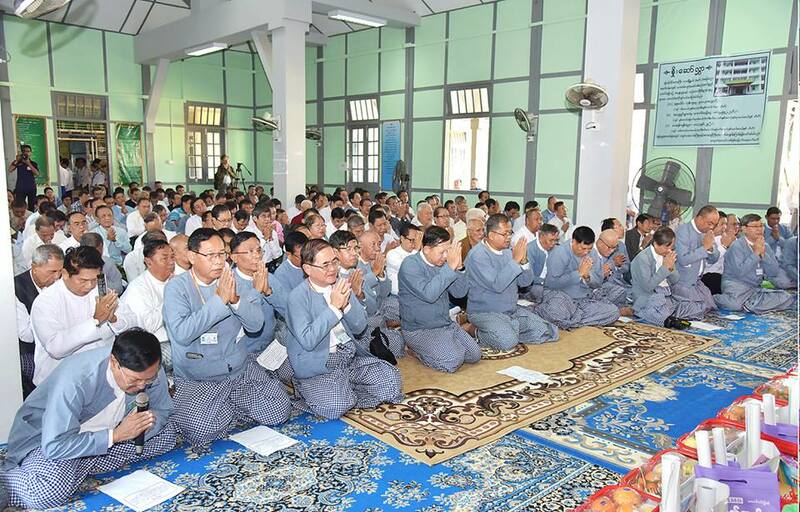 On behalf of the veteran teachers, Sayagyi U Aye Thein spoke words of advice. Next, the township education officer, the headmaster, the chairman of the organizing committee for the respect paying ceremony and the chairman of the health care service committee extended greetings. An official explained constriction of new school building at BEHS No. 1 in Latha. The Senior General extended greetings. Afterwards, gifts were presented medical doctors and nurses who provided health care services to veteran teachers, and female teachers who voluntarily carried out tasks for the respect paying ceremony. Next, an old student spoke words of thanks. Afterwards, the Senior General and alumni respectfully presented gifts to the veteran teachers. Later, the Senior General cordially greeted the veteran teachers.